The Tangier plant has produced its millionth vehicle, a Dacia Lodgy. A landmark figure reached in just over five years following the plant’s inauguration in 2012. The design of this efficient and eco-friendly plant, which is unrivalled in the automobile industry, is based on two pillars: zero CO2 emissions and zero industrial effluent discharges. Groupe Renault is proud to be able to celebrate the production of the millionth vehicle at the Renault-Nissan plant in Tangier: a five-seat, Azurite Blue Dacia Lodgy powered by a diesel engine and sold to a customer in Turkey. In all, 474,840 Sanderos, 320,078 Dokkers and 193,181 Lodgys have been manufactured in Tangier since the plant’s inauguration in 2012. In addition to covering the Moroccan market, the models built at the factory are exported to more than 73 destinations. The inauguration of the Tangier plant’s first production line in February 2012, in the presence of His Majesty the King Mohammed VI and Carlos Ghosn, CEO, Groupe Renault, and the launch of a second line in 2013, marked a turning point in Morocco’s automotive sector. Indeed, it was the birth of the biggest car manufacturing plant south of the Mediterranean. Today, the plant operates in three eight-hour shifts per day, six days a week, with an annual production capacity of 340,000 vehicles. 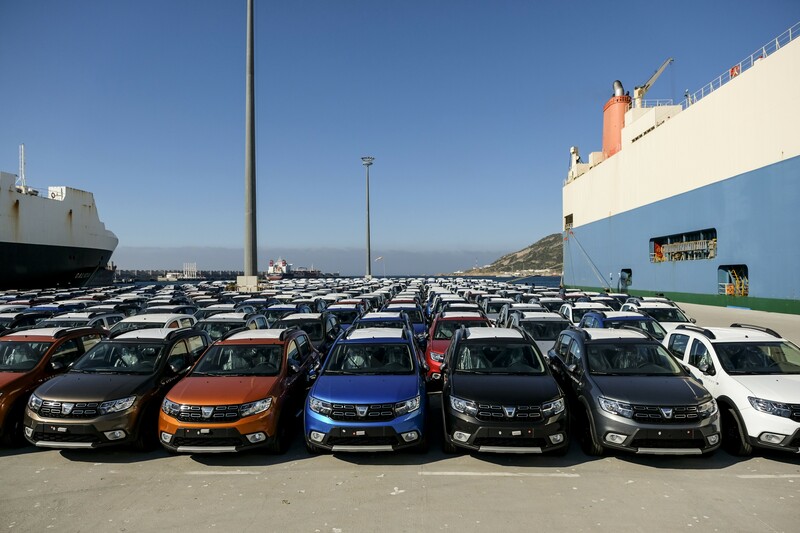 The Renault-Nissan Tangier plant, a main driver of the Moroccan economy, supports Dacia brand growth by exporting the majority of its production. Half of all Dacias are produced in Morocco at either the Tangier plant or at the SOMACA facility in Casablanca. Groupe Renault implanted in Morocco since 1928 is the undisputed leader in the national market with its two brands, Dacia and Renault. 4 vehicles out of 10 sold in Morocco are sold by the Groupe Renault. The Renault plant in Casablanca (SOMACA) produces Renault models since 1966, and since 2005 for the Dacia models.